The 81st Annual Academy Awards took place February 22, 2009 at the Kodak Theatre in Los Angeles, commemorating the film industry’s most accomplished professionals and productions of 2008. For the event, Valencia, CA-based audio system provider ATK AudioTek deployed the sound reinforcement system, which was designed by Pat Baltzell of Baltzell Audio Design and included JBL VERTEC® line arrays. 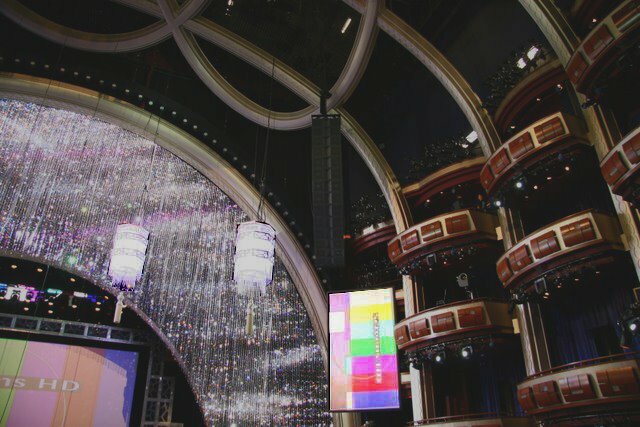 “Our continued collaboration with Pat Baltzell for events like the EMMY Awards, the Super Bowl, and now the Academy Awards, has proven to be very successful, and the VERTEC line arrays have played a significant role in that success,” said Scott Harmala, Vice President of Engineering, ATK AudioTek.